if I retire at 62 will I still be able to work part time? I have two years missing from my Earning Statement. This non government website provides information on your local social security office services and location. This site was created to help US Citizens find their local social security office and provide general Social Security information that is also accessible on the SSA Website. By visiting your local SSA office you will have access to a full range of Social Security services which will include applying for new or replacement Social Security cards, applying for Social Security and Supplemental Security income benefits, making changes to your benefits information and helping Medicare beneficiaries with limited income and resources apply for extra help with the cost of their prescription drugs under the new Medicare Prescription Drug Program. The Social Security Administration through it’s local offices and online platforms performs certain functions that pertain to the black lung benefits program, and it directs the aid to the blind, disabled and aged in the Virgin Islands, Guam and Puerto Rico. Under the 1935 law, benefits were only paid to the primary worker. Taxes to fund the program were first collected in January 1937, and the first one-time, lump-sum payments were made the same month. Disability benefits were added in 1956 A person’s nine-digit Social Security number is her first and continuous link with Social Security. Ongoing monthly benefits began in January 1940. In 1939, the law changed to add survivor benefits and benefits for the retiree’s children and spouse. The number helps the Social Security Administration to record all wages covered under Social Security accurately, as well as to monitor records once individuals start to receive benefits. The Social Security Act was signed by President Franklin Roosevelt on August 14, 1935. Individuals qualify for Social Security retirement, disability and survivors benefits by accumulating enough work credits while employed or by being a family member of someone with enough work credits. Workers receiving retirement benefits must be at least 62 years old, although they do not receive 100 percent benefits until they reach full retirement age, which varies from 65 to 67 depending on their date of birth. citizens and resident aliens who are aged 65 and over, disabled or blind who meet the requirements for limited income and resources. Supplementary Security Income is available to U. S. To qualify for Social Security retirement, disability or survivors benefits, workers need 40 work credits generally earned at the rate of four per year for a total of 10 years of covered employment, as of 2015. Spouses, children, dependent parents, widows or widowers of workers with enough credits may also be eligible for Social Security benefits. Unlike other Social Security office programs, a minimum number of accumulated work credits is not necessary for eligibility for SSI Eligibility for Supplementary Security Income is based on age or disability and the applicant’s income and resources. To receive disability benefits, workers must be unable to work at their job or do other work because of their disability, and the disability must last at least one year or be expected to result in death. You local Social Security Office through the SSA provides benefits to retired people and people with disabilities. 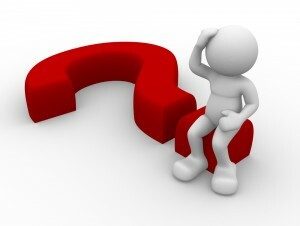 The SSA also administers Medicare, a program that aids with the costs of health care, but may not cover them entirely. Social Security offices also provides survivors’ benefits when a family member dies, as long as qualifying requirements are met. The Social Security Administration provides retirement, disability and health care services, as well as financial benefits to certain groups, including children and government employees. 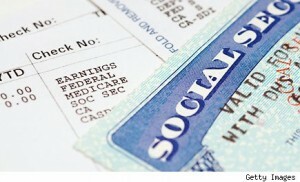 The retirement benefits known as Social Security is perhaps the SSA’s best-known service. U. S. It can also cover people who have a temporary disability or who a terminal medical condition. workers pay portions of their paychecks into Social Security and receive monthly benefits after they retire. It also administers Medicare, the federal government’s health care program for people over 65. Although Medicare is designed primarily for people over the age of 65, it can also cover people with certain specified disabilities, including permanent kidney failure. Disability services cover people who have worked for a certain period of time and who have a disability that prevents them from continuing to work. The amount a worker receives after retiring depends on the amount he paid into the system in the first place. People with limited financial resources due to a disability are eligible for Supplemental Security Income. Individuals who are at least 61 ¾ years old, do not receive any current Social Security benefits and want benefits to start within four months are eligible to apply for retirement benefits at their local social security office or online. Applicants who do not have Medicare and are at least 64 ¾ years old may apply for both retirement and Medicare online, according to the Social Security website. Citizens can also request a review of denied disability benefits within the past 60 days after being denied benefits. Adults over 18 years old, who do not receive Social Security benefits and cannot work for at least 12 months due to a medical condition may file a disability benefits claim at a local social security office or online. People can make Social Security claims for retirement, disability, survivors and supplemental security income. Social security office Applicants may also fill out a “Benefit Eligibility Screening Tool” online or fill out the a form at a local office to find out if they qualify for social security benefits. Us citizens may also file their claims for retirement, disability and Medicare online, along with checking their application status and filing an appeal over denial of benefits.